._:::- I ♡ Beccikie -:::_.: Run run run! It´s ending soon!! 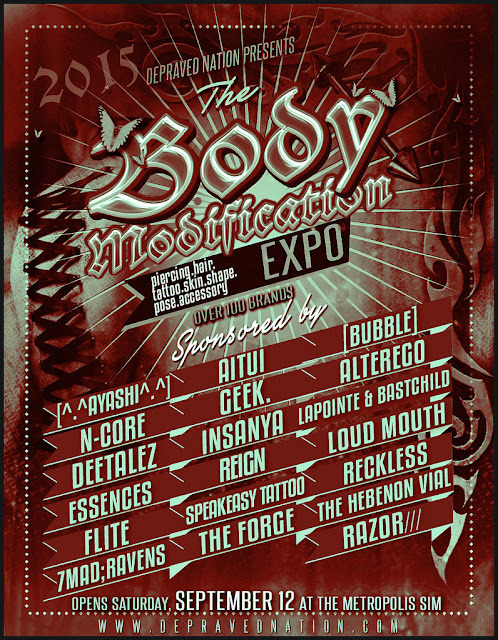 Did you mis my recent posts about Body Modification Expo?! Oh, and where were you looking at? You have a bit more than 24 hours, so RUN! This event is made for all of you who are seeking accessories and body enhancher for your beauty. So this time you won´t find clothing but skins, tatoos, jewelry, make ups, shoes... and much more! The fair ends on 3rd October, so be sure to check it out.